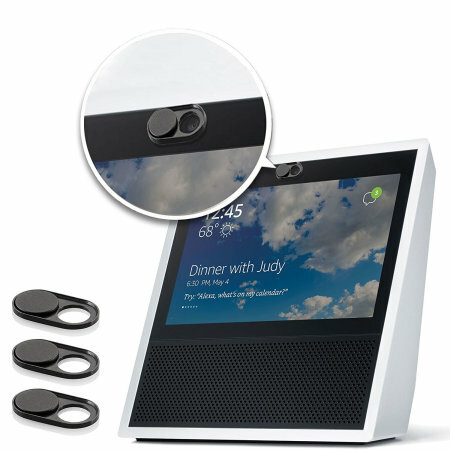 Beat the hackers with this 3 pack of stainless steel webcam covers for your Amazon Echo Show. Quickly gain or deny access to your devices' camera with this sliding cover. An easy low tech solution to a high tech problem. If it would fit other products with camera devices - and it does. So far it has remained firmly fixed to my mobile which is in & out of my pocket all day long.